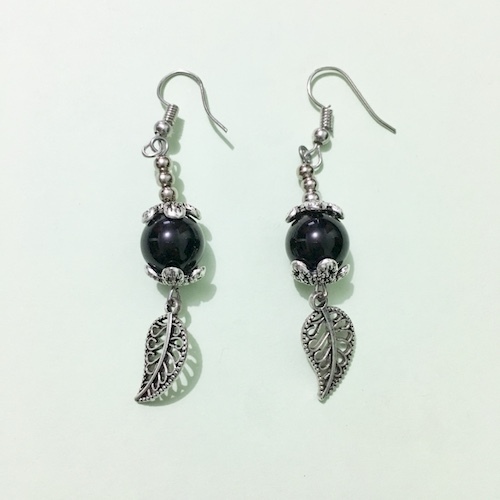 Buy lead-free dangle earrings with genuine 10mm black onyx beads from the #1 seller of crystal jewelry in the Philippines. Onyx enables one to handle even the unmanageable tasks. It aids in memory retention and promotes attention to detail. These make Onyx a good stone for students, teachers, accountants or any work that requires concentration, dedication and discipline. It prevents the draining of personal energy and provides protection against negative energy and baneful magick.